Wantaway Manchester United forward, Wayne Rooney is believed to have voiced out his anger at the way the club have considered his future. New manager, David Moyes had said the English International is key to the squad, in the event of Robin van Persie being injured. Rooney, according to Sky Sports, feels he has nothing to prove at United after nine seasons, contrary to media reports and United's message. Despite Van Persie topping United's scoring charts last season, Rooney feels he shouldn't have to play second fiddle to anyone at Old Trafford. 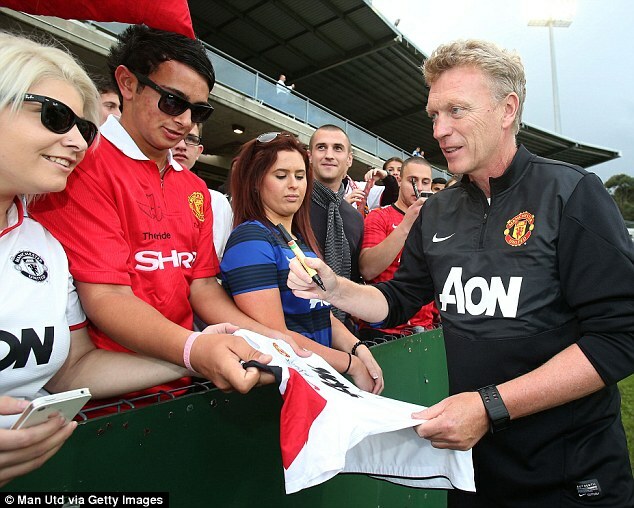 It has been widely interpreted as Moyes stating he regards Rooney as an understudy to the prolific Dutchman. And understandably, that has gone down very badly. A source who highlighted Rooney's unhappiness is of the opinion that as far as the 27-year-old is concerned, he is at the peak of his career and has no intention of playing second fiddle to anyone, or being reduced to the ranks of becoming a squad player. With four Premier League titles and a Champions League winners' medal to his name, Rooney does not believe he has anything to prove at United. Yet he feels as though he has been put on trial by Moyes at a time when he should be concentrating his efforts on recovering from the hamstring injury that saw him sent home from United's pre-season tour within hours of landing in Thailand on Thursday.